Champion level dancer – this dress truly stands out. 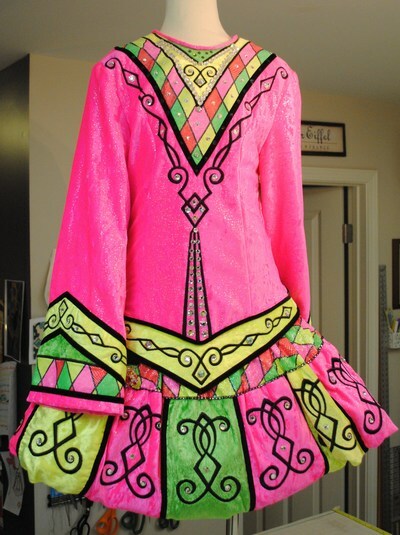 Bodice and sleeves are a silky stretch velvet in cotton candy pink, accented with highlighter yellow and green. We truly will miss this dress! Well cared for in a smoke-free home. Includes bloomers and headpiece. Asking Price: $US900. Will accept returns and refund the cost of the dress, buyer to pay all shipping costs.